Why the Air Cadets? It’s a fair question but ask anyone who has been a part of the air cadet organisation and you will know how special it is. It offers young people from all walks of life a chance to be active, learn new skills and make new friends. The ATC doesn’t interfere with their school responsibilities and cadets take an invaluable set of experiences and strong personal ethics with them when they leave, giving them the tools to succeed in whatever they choose to do in the future. It’s true that some cadets do take up a career within the services, but there is no requirement for them to join after leaving the organisation. Their personal development as confident and spirited young individual is our main aim. Under the guidance of our fully qualified volunteer staff, we will offer your son/daughter many activities to take part in further develop their key strengths and weaknesses! We hope that they stay with us for several years and thoroughly enjoy their time in the Air Training Corps – Our volunteer staff are always on hand to assist parents with any questions or concerns. We ask parents for as little as possible. We provide most of the kit and encourage cadets to be self-sufficient and keep their uniform in good order themselves. Don’t be upset if they ask you not to iron their shirt as there is a certain way of doing it and they are encouraged to handle it themselves! However, you are responsible for their uniform which is valued at approximately £200 and is issued on loan – it should only be used for air cadet activities and must be returned at the end of their time with us. Footwear is not included so shoes/boots will need to be provided. Beyond this, your main responsibility is getting your son/ daughter to the squadron in a timely fashion for meetings and supporting them as they progress. However, any further involvement is always gratefully received. All organisations need funding. 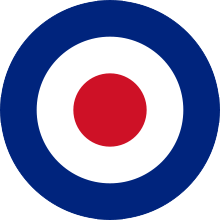 We are luckier than most as the RAF provide the money for uniforms, premises and flying in addition to other activities. Each cadet provides a small monthly subscription which goes towards funding the many activities that they undertake. However there can be additional costs associated with National and International camps and expeditions although we will always endeavour to keep these to a minimum as we want the organisation to be available to everyone. The squadron must provide the rest of the required funding, primarily through the fundraising efforts of the Civilian Committee that each has. We are always looking for parents who are keen to get involved with their squadron’s Committee or would like to become an adult volunteer!